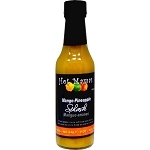 Our newest fresh pepper sauce! 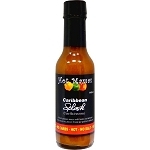 Jerk'n Hot Splash--taste the islands in every bite! 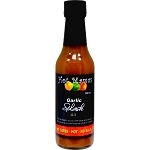 Great on grilled shrimp, chicken, pork kabobs, salmon, ribs and much much more! Use as a marinade also! Ingredients: Vinegar, scotch bonnet peppers, pineapple juice, spices, mustard.